Fully redesigned with elegant and sleek lines, this stylish water dispenser features Firewall’s excellent purifying performance for the best tasting water. Along with great looks, it is easy to operate and has a dispensing area suitable for sports bottles with a choice of cold and hot water. This dispenser is designed for all workplaces who need a reliable supply of fresh, purified water. And be one of the first to get a bluV Water Purification System for your office! 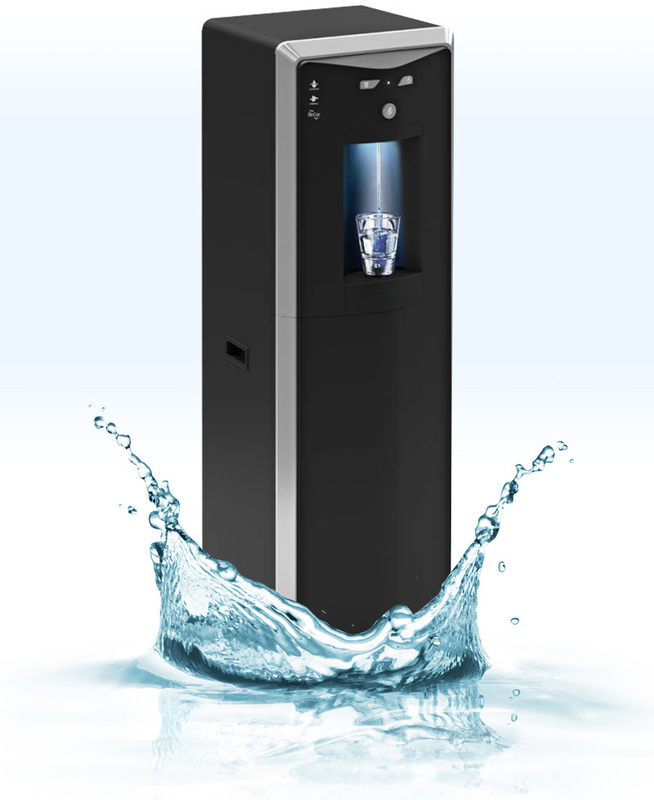 The WL2 Firewall® uses unique Firewall® UVC technology at the point of dispense to eliminate up to 99.9999% of bacteria, delivering the purest water possible with every cup dispensed. It also features BioCote®, an antimicrobial compound added to key plastic surfaces that keeps the dispensers fresher and cleaner for longer, protecting against odor causing microbes, such as bacteria, mold and mildew. Our filtration technology is exceptional at removing the bad stuff and leaving in the good stuff . This stage removes chlorine and other water-born tastes and odors. Next, the Firewall UV purification will wipe out impurities, cleansing the water up to 99.9999%. As an added layer of protection, the UV light keeps the dispensing nozzle from becoming contaminated. We have the inside covered and the outside too. BioCote® technology provides built-in, long lasting antimicrobial protection against odor and staining causing microbes such as bacteria and mold. It does not wear off or wash away, maintaining premium antimicrobial performance for the lifetime of the dispenser. The WL2 Firewall® outperforms industry standards. It has exceeded all expectations of some of the top research laboratories on the planet. Investment in R&D, a ton of hard work and a passion for H20 ensures we deliver the cleanest, clearest water possible.